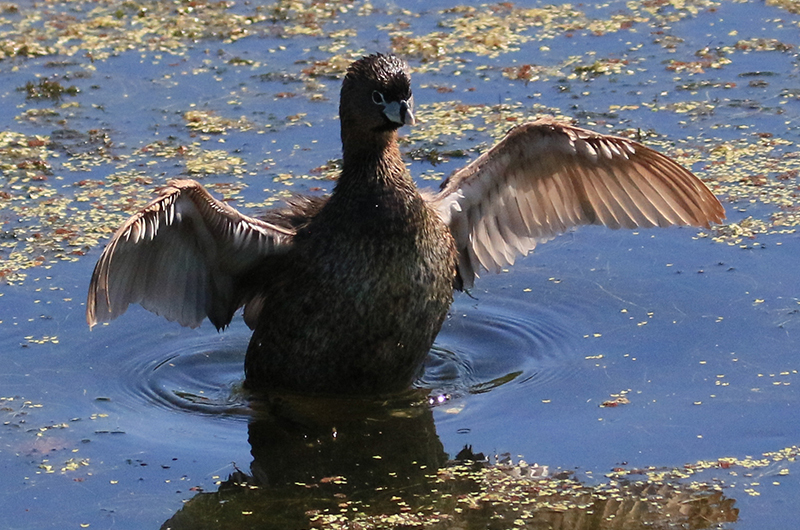 Don't fear the pied-billed grebe. Even though it is late October, migrants continue to arrive and, with the right weather, migrants can be quite abundant. Multiple observers sighting the species within a few days of each other suggests that their migration is in full swing. This is a welcome change since conditions were not optimal for migrants for most of September and October. White-crowned and white-throated sparrows arrived this week. Adults of both species have prominent white stripes on their crown. Several observers found flocks of the larger white-crowned sparrows this week: Susan Whiting had them visiting her feeders on Oct. 23 while both Jeff Bernier and James and Anne Suozzo observed their flocks on Oct. 26. Allan Keith observed 15 white-crowneds on Oct. 29, while Charlie Kernick spotted his in his yard on Oct. 29. That same day, Warren Woessner found a flock of them at the Gay Head Cliffs. Susan Whiting also spotted her first of the more common white-throated sparrows, again at her feeders, on Oct. 23. That same day, Margaret Curtin also had her first white-throated sparrow of the season. Susan Straight observed this same species two days later. And both Allen Keith and Warren Woessner spotted theirs on Oct. 28 and 29. James and Anne Suozzo and Christine and Peter from New Jersey found a few cliff swallows mixed in with a flock of tree swallows at Squibnocket on Oct. 26. I do not recall other sightings of cliff swallows this year and this is a really late date for them. Tree swallows, on the other hand, are still fairly abundant. This is the time of year when western strays typically show up. So it is not unexpected that David Stanwood found a possible western kingbird at the Tisbury water works on Oct. 24; unfortunately it flew off before he could get a photo to document this sighting. Gay Head and Squibnocket were productive for Allan Keith on Oct. 26. 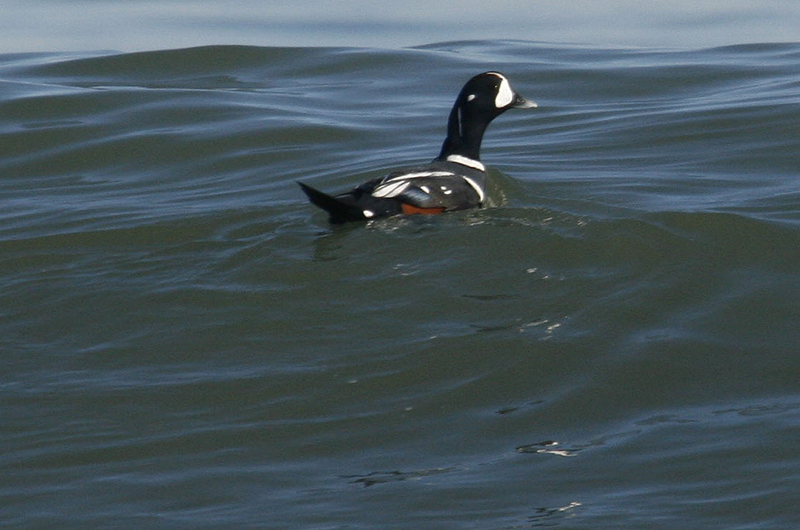 He found several species that are new for the season including six harlequin ducks and an American bittern in Aquinnah, 25 lesser scaup and two ruddy ducks at Squibnocket Pond. On to the waterbirds. Lanny McDowell spotted the first pied billed grebe of the season on Oct 22. A few days later, I observed one at the Oak Bluffs pumping station on Oct. 26; as they often do, the grebe spent more time underwater than on the surface. Charles Bangs found an American coot at Squibnocket on Oct. 22, another first for the season. American pipits are increasing in abundance. Last week, Lanny McDowell observed this species, as reported in last week’s column. On Oct. 26, Jeff Bernier found some in the fields of the Farm Institute, while Wendy Culbert and I found a flock of 10 pipits on Cape Pogue. The second yellow-billed cuckoo report of the year comes a few days after the first report which was on Oct 19. Martha Moore found the second one on Oct. 24; unfortunately, this bird did not survive after colliding with a window at her house. 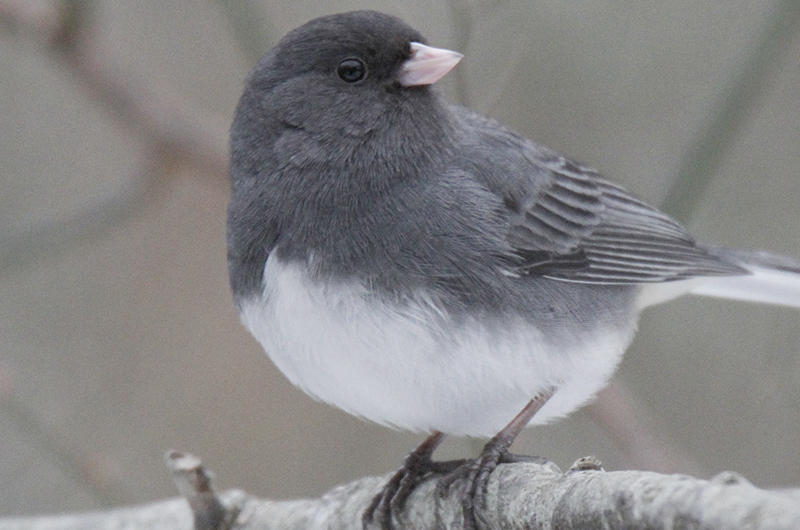 Jeff Verner reports that two hermit thrushes and multiple dark-eyed juncos were foraging in his Edgartown yard on Oct. 26. Another hermit thrush was spotted the same day by James and Anne Suozzo on Lighthouse Road. The bird feeders in Susan Whiting’s yard have been busy recently. In addition to the white-crowned and white-throated sparrows reported above, she has also had four purple finches, one field sparrow, two chipping sparrows, and a late-staying red-winged blackbird. Linda Bergeron reports that a catbird is still hanging around her yard in Katama. Allan Keith reports a great morning of birding on Oct. 28. He recorded 52 species in three and a half hours of birding. In addition to the species mentioned above, he found an abundance of song sparrows, which were extremely abundant everywhere, a remarkable five orange-crowned warblers, six phoebes, four house wrens, 14 catbirds, four hermit thrush, Lincoln’s sparrow, vesper sparrow, swamp sparrow, purple finches and pine siskins. Onward to the shorebirds! On Oct. 28, Warren Woessner found killdeer, black-bellied plover, semipalmated plover and dunlin on some Katama horse pastures. My Oct. 27 Guided Birding Tour–the last one of the season–found the same species there. We also found two lesser black-backed gulls that were seeking refuge from the strong northeasterly winds; they were roosting in Ocean Park with other gulls, all of which were facing into the wind. Walt Looney visited Little Beach on Oct. 23 and noted the presence of five American oystercatchers, 34 black-bellied plover, two semipalmated plover, eight ruddy turnstones, a red knot, 24 sanderling, nine dunlin, and one greater yellowlegs. This sounds more like a day in September than late October! The Vineyard Haven pumping station hosted six American wigeon, a great blue heron and a kingfisher, as reported by Patsy Donovan on Oct. 25. The next day, Mike Zoll found a bufflehead there, along with the wigeon. 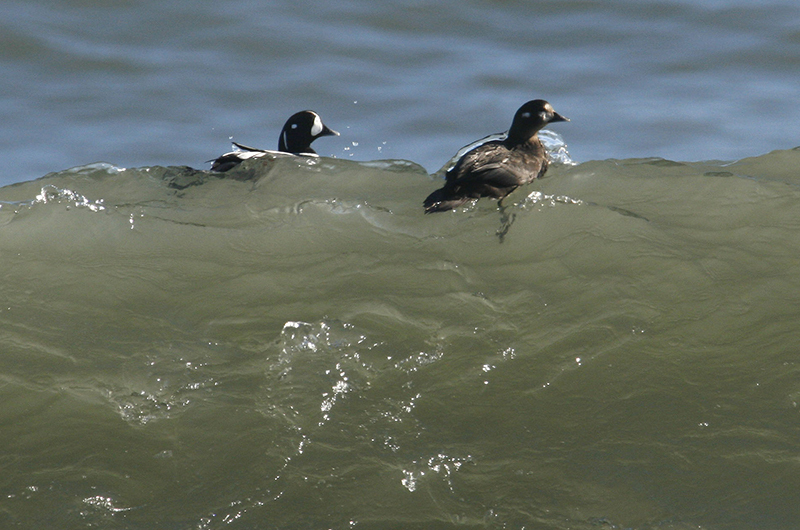 At Squibnocket on Oct. 25, Laura Lennihan reports a gannet was only 50 yards offshore, and there were both both black and surf scoters nearby. Lisa Maxfield reports that black-crowned night-herons are roosting every night in trees on her Lagoon Pond property. This is in addition to the ones that are roosting daily at the other end of the Lagoon, at the Oak Bluffs pumping station. Charles Bangs reports a wood duck and a blue-headed vireo at Felix Neck on Oct. 25. Harking back to Oct. 5, John Nelson reports two straggling common terns and a Bonaparte’s gull in Menemsha. He also spotted bufflehead on Sengekontacket Pond on Oct 19. Hummingbirds conclude the column this week. Maryann Haller, Heather Thurber and Jo-Ann Eccher all reported a hummer at their feeders on or around Oct. 24. But what species are they? At this time of the year, western species are almost as likely as our ruby-throated hummingbirds. It is not always easy to distinguish between these species, so please take a picture–even using your phone–and send the pictures to the e-mail listed below. Fall and winter resident species are now showing up. Please report all your sightings to birds@mvgazette.com. Robert Culbert will schedule a private Guided Birding Tour for you, and is an ecological consultant with Nature Watch LLC living in Vineyard Haven.